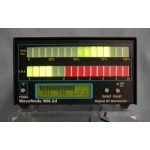 Includes WN-2d and 1 sensor (your choice), cable, wall power supply, and software.WN-2d includes hig..
Monitor 4 sensors simultaneously for peak, Average power and coax SWR.Direct USB full speed interfac..
High brightness bargraph display selectable for either peak forward power or SWR.Monitor two sensors..
RF Remote Power Sensor for 0 - 2000 watt range and 1.8 - 60 Mhz operation. 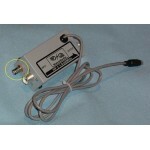 Includes "RFView" adapter..
RF Remote Power Sensor for QRP operation. 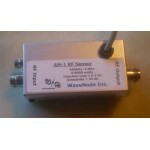 0-60 watt range and 1.8-60 MHz..
RF Remote Power Sensor for High power measurement. 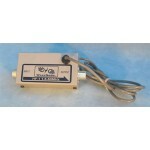 0-8000 watt range and 1.8-40 MHz..
RF Remote Power Sensor for High power measurement. 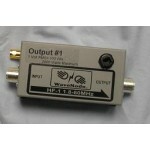 0-8000 watt range and 1.8-40 MHz. 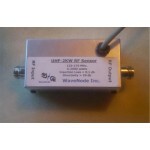 Includes ..
UHF Remote Power Sensor for 0 - 300 watt range and 140 - 460 MHz operation. 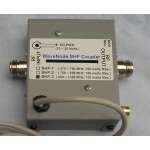 (Combo Sensor for 2 Meter..
HF Remote Power Sensor for 2KW range and 120 - 170 MHz operation.RFView option. Output port on WaveN..
UHF Remote Power Sensor for 2KW range and 400 - 470 MHz operation..
UHF Remote Power Sensor for 2KW range and 400 - 470 MHz operation.RFView option. 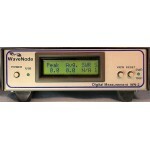 Output port on Wave..
FM Broadcast / Police / Fire / EmComm Sensor for 0 - 600 watt range and 40 - 120MHz operation..
FM Broadcast / Police / Fire / EmComm Sensor for 0 - 600 watt range and 40 - 120MHz operationRFView ..
AM Broadcast Sensor for 0 - 8000 watt range and 500KHz - 3MHz operation..
AM Broadcast Sensor for 0 - 8000 watt range and 500KHz - 3MHz operationRFView option. Output port on..
RF Current Sensor for HF Operation. 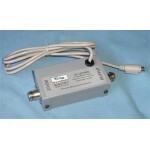 Remote Sensor for 0 - 2000 watt range and 1.8 - 60MHz operation.. 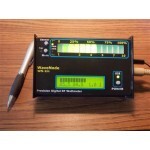 These sensors are for 0-100 watt operation and are compatible with WN1 and WN2 systems. They have lo..